The expatriate community who lives in Beijing is becoming bigger and bigger with the opening of China to other countries in the world. The official figures said that 110 000 expatriates lives in Beijing (interns or student are not included in this survey as they stay for a limited period of time). Including them, the number should be approximately 150 000 foreigners in town. This is still nothing in comparison to the actual Beijing population, 19 billions. It often happens that I am the only foreigner when I go to work at my subway station or in the subway (North West of the city). By definition, these people in community gather together in some areas in the East of the city (Sanlitun, Sanyuanqiao, Guomao…). 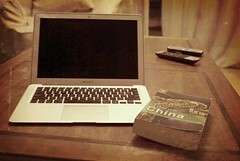 To be able to share our common interests and needs, some people got the good idea to use Internet. Several websites for foreigners in Beijing have been opened. See below some interesting information on some websites for Beijingers, just arrived in the city or here for years. Thebeijinger : the most known, the reference in Beijing! Several useful categories are available on thebeijinger (next events, ads for relocation, language courses…). They got several journalists who cover Beijing’s news and also publish a monthly magazine. 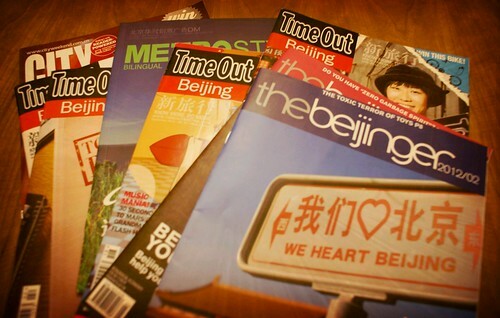 Timeoutbeijing : TimeOut brand is available in more than 30 cities around the globe to present events, restaurants and hotels information. Biggest competitor to the thebeijinger, they also publish a monthly magazine. Culture Yard: an established language school and culture center located in a traditional Chinese courtyard in the heart of Beijing. Culture Yard aims to promote language and culture learning among the local and expat communities by offering various workshops, cultural exchange activities and language study courses. YugonYishan : website of one the best concert hall in town. Bands announcement is often scheduled few days before the concert so need to visit the site often.